El Monte, California, August 23rd, 2016; two El Monte Boy Scouts were honored by the El Monte City Council at the Grace T. Black Auditorium for earning Cub Scouting’s highest award, The Arrow of Light. Roman Bonilla and Degas Peters were presented with certificates of recognition by Mayor Pro-Tem Victoria Martinez as well as certificates from Los Angeles County Supervisor Hilda Solis. Roman Bonilla’s Cub Scouting career began in September 2014 with El Monte Pack 551 and transferred to Monrovia Cub Scout Pack 66 to complete his Cub Scouting requirements until he bridged over to Duarte Troop 185. Roman has been taught the importance of building character, learning the responsibilities of citizenship and development of personal fitness. Roman has demonstrated his ability to follow and achieve these ideals, and has worked his way through the Bear and WeBelos I & II programs with continued success. By earning the Arrow of Light Award requirements, including mastering the following WeBelos activity badges: Fitness, Citizenship, Readyman, Outdoorsman, Artist, Scholar, Showman, Traveler, Craftsman, Engineer, Handyman, and Scientist. Roman has worked hard to prepare himself to cross the bridge to become a Boy Scout. Degas M. Peters Cub Scouting career began in September 2012 with El Monte Pack 551 and transferred with Roman to Monrovia Cub Scout Pack 66 to complete his Cub Scouting requirements until he recently bridged over to Duarte Troop 185 led by Scoutmaster Ed Stegman. Degas M. Peters has been taught the importance of building character, learning the responsibilities of citizenship and development of personal fitness. Degas has demonstrated his ability to follow and achieve these ideals, and has worked his way through the Bobcat, Tiger, Wolf, Bear and WeBelos I & II programs with continued success. By earning the Arrow of Light Award requirements, including the Building a Better World, Camper, Faith in Action, Scouting Adventure, Cast Iron Chef, Faith in Action, First Responder, Stronger, Faster, Higher, & WeBelos Walkabout Activity Badges, Degas has then prepared himself to cross the bridge to become a Boy Scout. The Arrow of Light is much more difficult to obtain than a belt loop, an activity badge or even one of the other rank patches. To be eligible for the award, a Scout must be active in a WeBelos Den for at least six months and have earned the WeBelos badge. 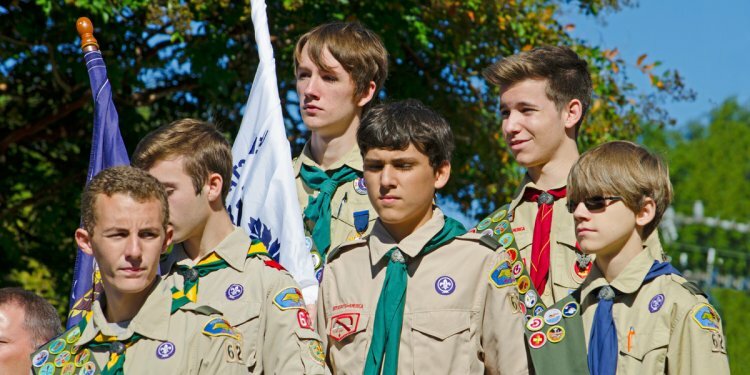 He must be knowledgeable of the requirements to become a Boy Scout including the oath, law, slogan, and motto as well as understanding the significance of the First Class Scout badge and uniform. The Scout must participate in an outdoor activity with a Boy Scout troop, attend a meeting with the troop, and go on a WeBelos campout. He is also required to earn a total of eight activity badges. The ceremony is in essence a ‘coming of age’ ceremony symbolizing that Cub Scouts are now ready to become Boy Scouts.